Offal Pumps are designed for a continuous transport of offal from poultry slaughterhouse to an offal separator. The design of the pumps allows easy and reliable transport of all kind of offal as feathers, intestines, heads, legs and even whole birds. 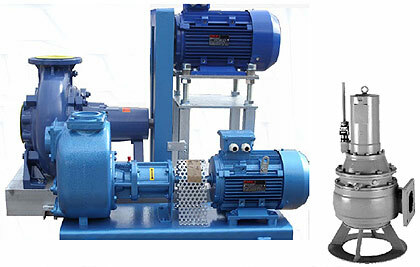 Offal pumps are available in two different types: either as a submersible pump or a dry condition type, that can be installed in a separate pit. Recirculating pumps for the re-use of the offal transport water are available too in a wide range of capacities according to the plant requirements.